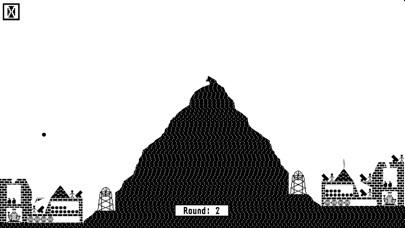 Beat the castle at the other side of the mountain! 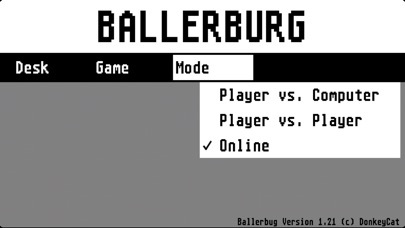 - Online Multiplayer - beat Ballerburg players from all over the world! 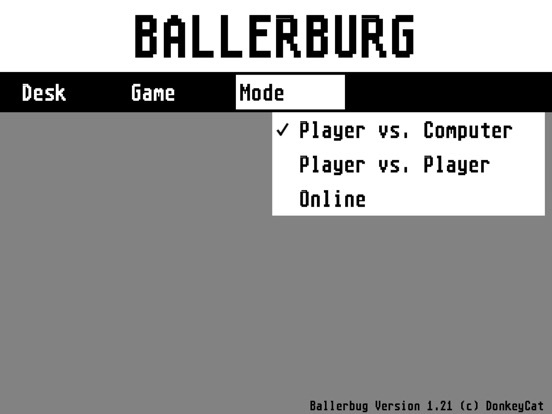 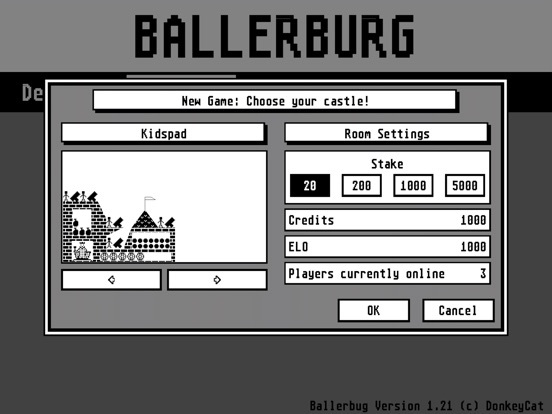 Ballerburg proves that simple game concepts are also the best. 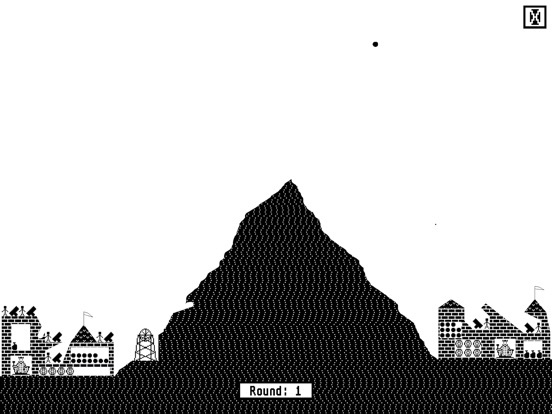 Two castles, a mountain - and cannons. 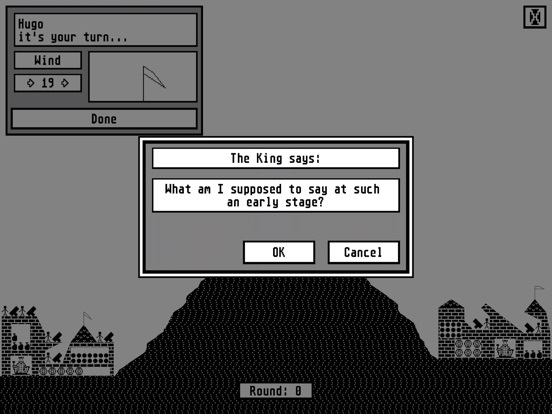 Beat the enemy kingdoms castle by hitting its well guarded king. 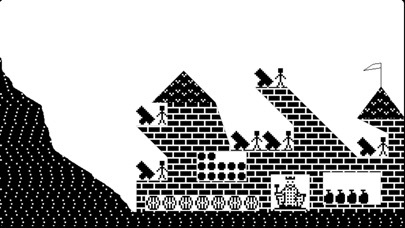 For each cannon shoot, angle and amount of used gunpowder has to be adjusted wisely. 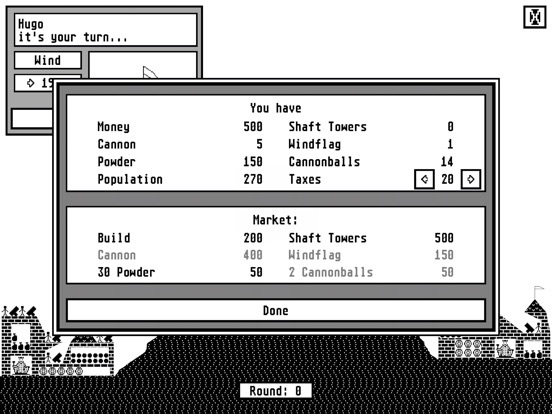 Changing wind and the fact, that cannonballs and gunpowder are limited resources make the battle even more interesting. 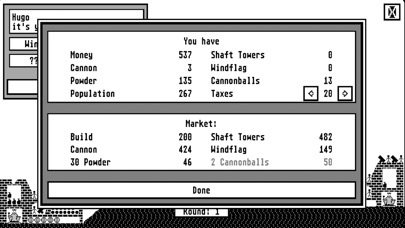 As the own inhabitants are paying taxes, this money can be used to rebuild cannons and walls or buy gunpowder, cannons and derricks. 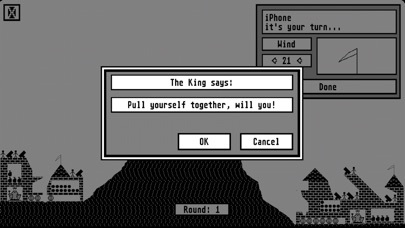 But don't tax them too much, otherwise your people might join your opponent. 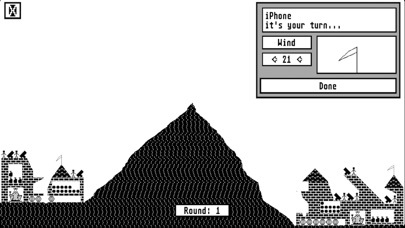 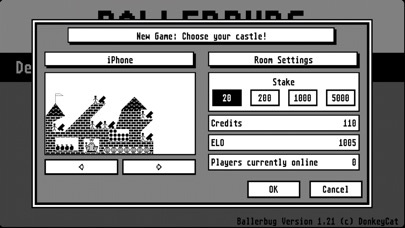 Now, all those who have been addicted to Ballerburg decades ago can play the cult classic on their iPhones - without having to get their old Ataris from attic. 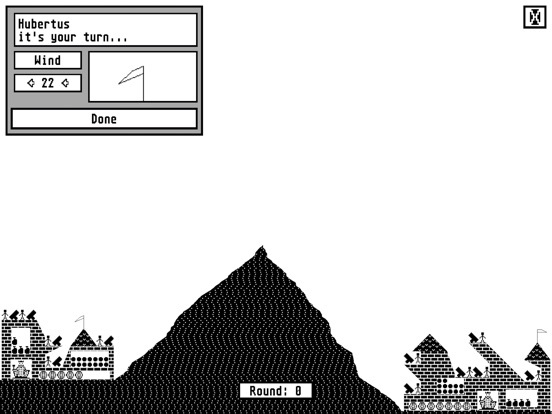 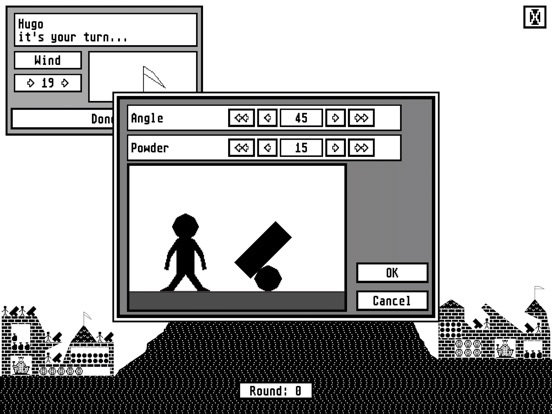 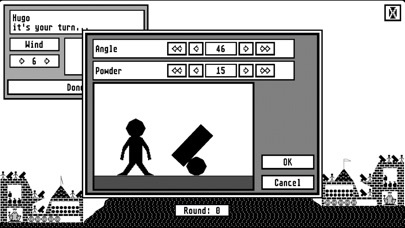 And the feeling will be the same as back then: we tried to get as close to the original version by Eckard Kruse as possible, which means graphics, sound and gameplay - same as 30 years ago.